Jared grew up in North Huntingdon, PA in Westmoreland County. He graduated from Grove City College where he earned a Bachelor of Arts in Political Science and minor degrees in History and Legal Studies. During his undergraduate career, Jared had the opportunity to serve on the editorial board of the undergraduate law journal, one of only a handful in the nation. He also had a paper published on the topic of Fourth Amendment searches in criminal law. After graduation, Jared enrolled in the Dickinson School of Law at the Pennsylvania State University. During law school, Jared served two years on the Penn State Law Review, including serving as its Managing Editor his third year. This position enabled him to work closely with school administrators, fellow students, and noted experts in the legal field. He was also able to work extensively with a general practice firm as an intern during law school. This provided him with hands-on experience in many areas of law, including criminal defense, family law, and estates. Jared is admitted to practice law in Pennsylvania. 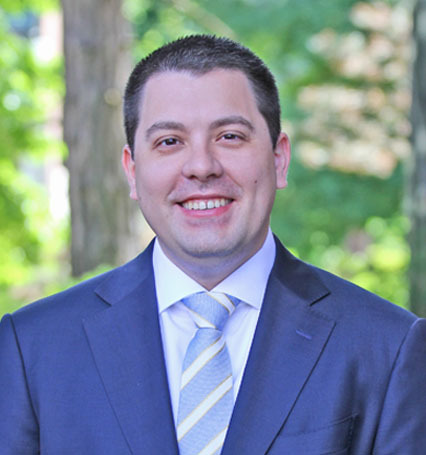 He has relocated to Chester County, where he brings his research, writing, and analytical abilities, as well as his knowledge of the inner workings of the judicial system, to Ciccarelli Law Offices. Jared works in the personal injury department, representing those who have suffered physical injury through no fault of their own. Jared understands that each client he works with deserves to be treated like family, and he seeks to find the best possible solution for each client.